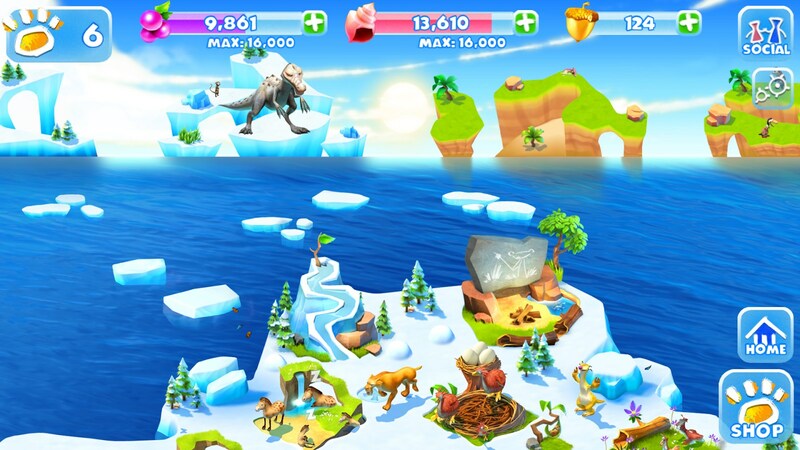 Ice Age Adventures – Games for Android 2018 – Free download. 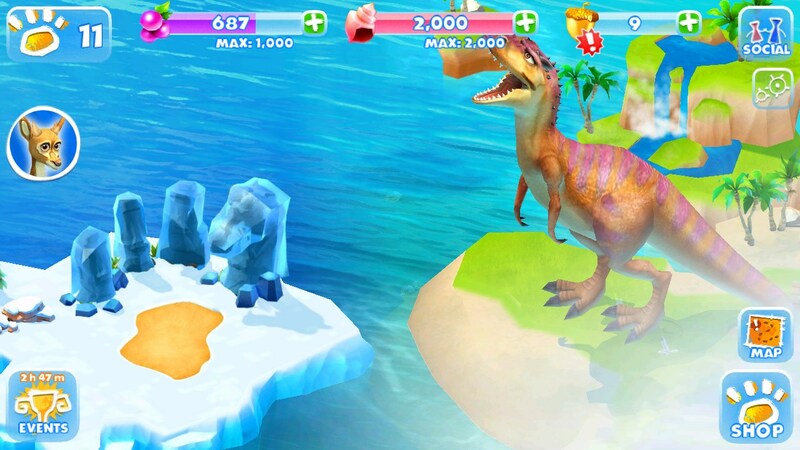 Ice Age Adventures – An amazing Ice Age themed adventure. 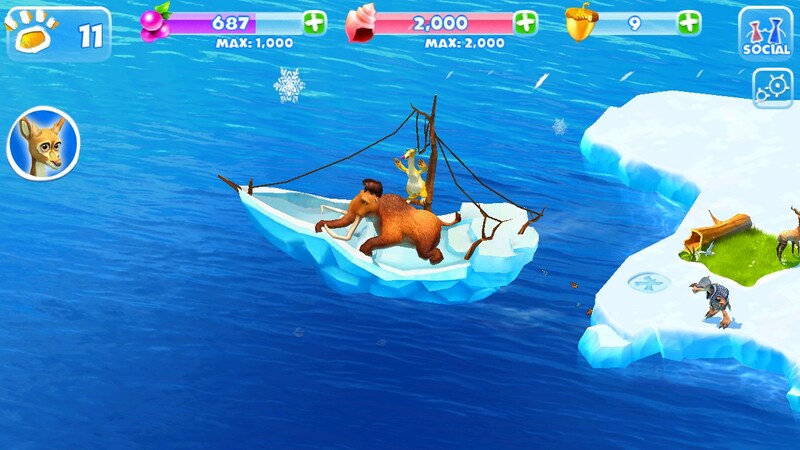 Ice Age Adventures for Android is a truly wonderful game. 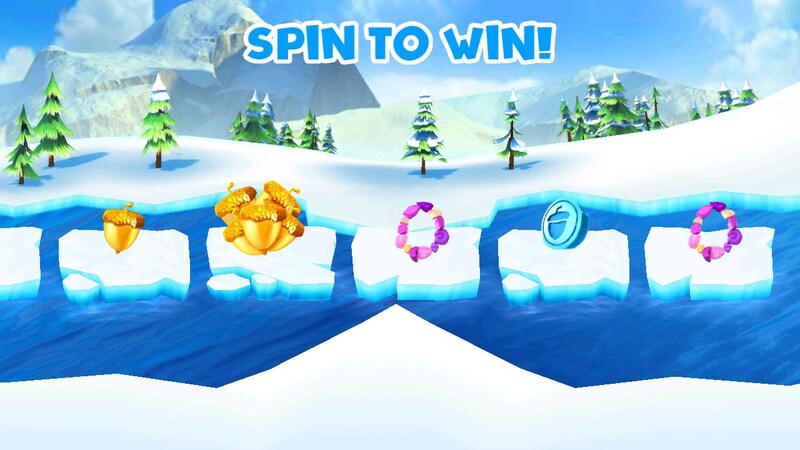 Help Sid, Manny and Diego rescue their friends and overcome all challenges. 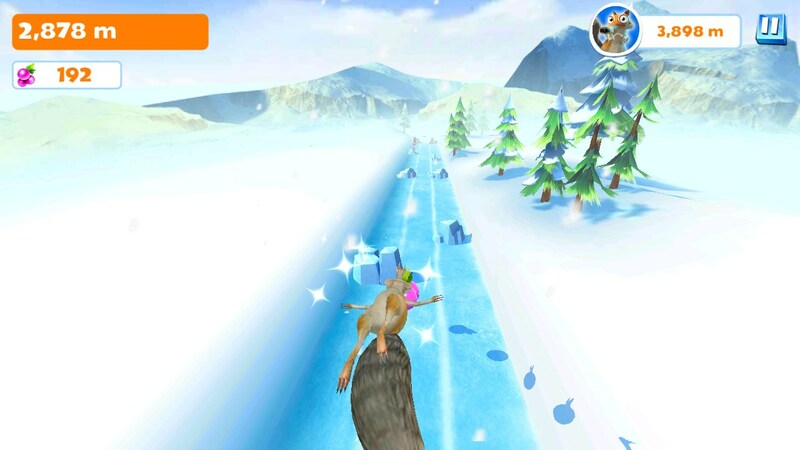 Even that silly, yet lovable squirrel, Scrat makes an appearance as he continues to chase his acorn. Players also get the chance to help our heroes defeat the dreaded Captain Gutt. Exploring islands has never been this amusing. Sid’s comments make everything even more amusing. From frozen islands to tropical environments, watching him unleash his famous “Sloth Fu” on unsuspecting trees is a continuous source of comic relief. 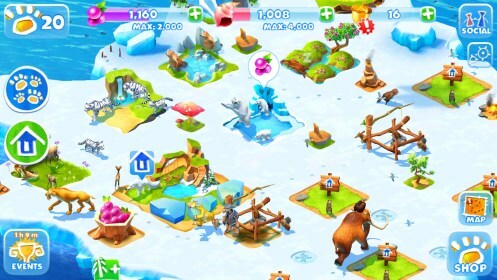 In order to save your animal friends the main characters need help clearing obstacles; simply double tap to instantly clear it, or tap the desired obstacle once and watch as everyone’s favorite sloth, mammoth and saber go in and take care of business. 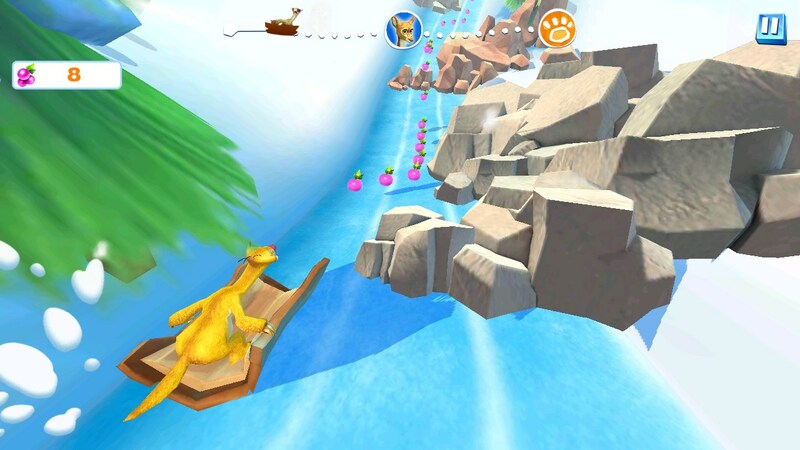 Once you reach a member of your herd, the appropriate mini-game needs to be completed in order to rescue him or her. As players get close to the endgame they will find that almost everything will take quite some time to complete (of course you can always apply an instant finish, provided you have the required currency). This does not take away the overall fun though, as the game offers plenty of content to keep you interested. From events to exploration and mini-games, this game is designed to be the way you like, perhaps you want to visit your village occasionally and rescue some members, or maybe you prefer to complete quests and will find yourself hooked on the game instantly. Overall Ice Age Adventures is an immensely entertaining game, with fun mini-games, a great soundtrack and amusing dialogue. Sid would say: “Set sail for adventure”; get ready to explore islands, collect items, battle bosses and have a great time doing it. 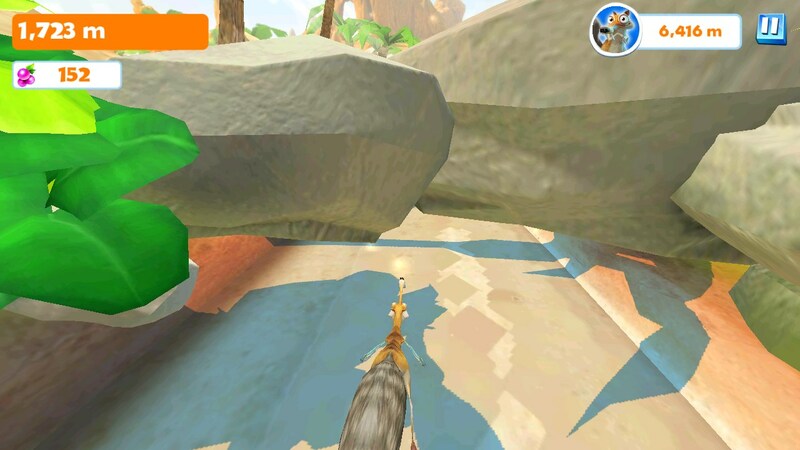 The only downside is that if you do not wish to resort to the in-app purchases, you will have to hoard acorns like a true prehistoric squirrel. 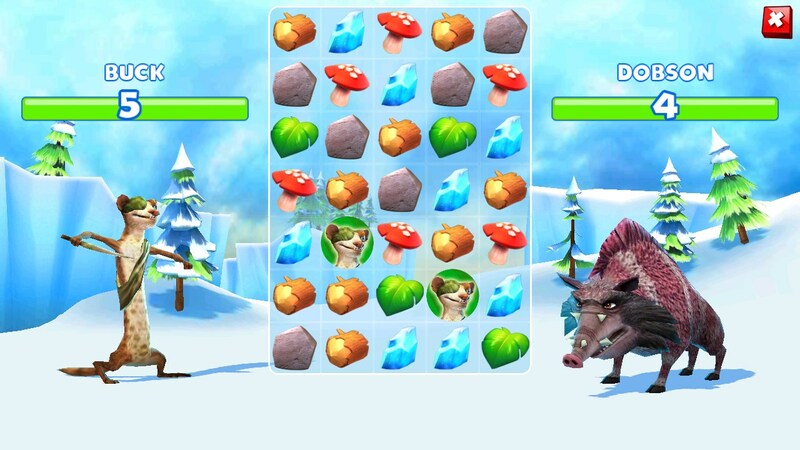 Come to think of it, this game is probably why Scrat has been chasing that acorn with such fervor, he wants to apply an instant finish or purchase an animal. I have nexus 6P... why isnt it compatible with this game? It could be due to your region. Sometimes our links are region base, so try doing a search for this game in your store. If it's still compatible, tap on the text that says the app is incompatible in the Play Store and a list of reasons why it's incompatible will be displayed. I have a Galaxy S4 tablet. When I bought this device and cut it on, this game was a suggestion to download. I happily downloaded the game and proceeded to play. I been playing for awhile and while playing I notice that I was unable to click on certain things like caves or trying to unlock the parents. So thinking that maybe it was just a flick or small malfunction , I uninstalled the game only to be told that my device is not compatible for this game. Can anyone tell me why?? I've been playing this game, expanding many areas, rescued over 40 animals, like why am I not able to redone load this game now??? Firstly I will need to know what device model and OS version you are using. Secondly please describe the issue in greater detail. What exactly prevents you from downloading? Are any error messages displayed? Let me know, and try to be as descriptive as possible, I will do my best to assist. Unfortunately the game is linked to your device. You cannot start a new game over once started. It may be possible to start a new game on a different device, log in with a facebook account and then log in with the same account on the first device. Or you could reset your device and it will lose its progress. Additionally it may be possible to contact Gameloft Customer Care and see if they can reset your progress. These do seem like a bit extreme methods but they may work.